If straps are your thing, these babies should make you very happy! 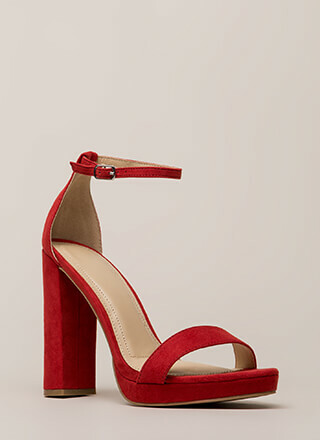 Metallic, open-toe, vegan leather heels feature extra skinny straps throughout -- an ankle strap with an adjustable buckle, a diagonal vamp strap that swoops across the foot, and additional diagonal toe straps to complete the asymmetrical look. Shoes are finished with a stiletto heel and a ridged sole.